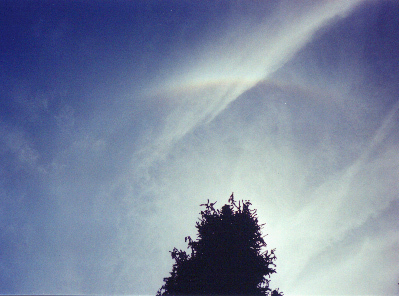 These photos were taken with a one-time-use camera, mostly during the early parts of the display. I've tried to adjust color, brightness and contrast to make the arcs more prominent, sometimes at the expense of aesthetics. Since the display was constantly changing, these photos augment rather than reproduce the impression shown in the drawing on the main halo page. More photos may be available later, and I will improve the interface if I get time. The brightest arc of the event. 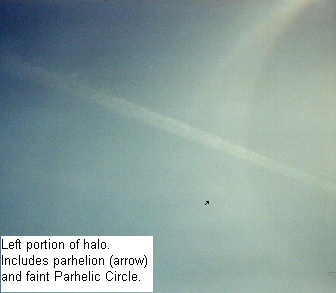 This is the region opposite the Sun, showing the completeness of the Parhelic Circle. A possible brightening is noted at the antihelic point. 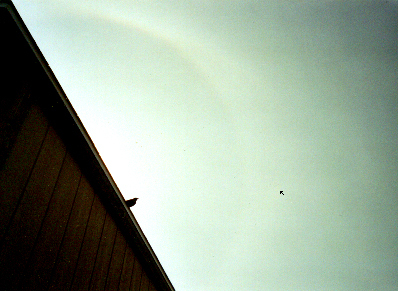 A feathered friend soaks in the Sun. 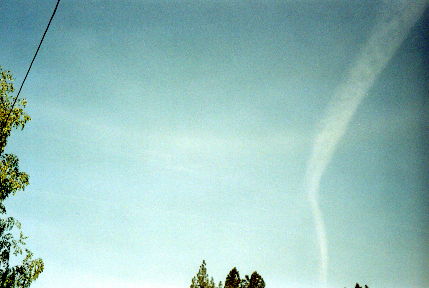 An arrow marks the position of the right parhelion. 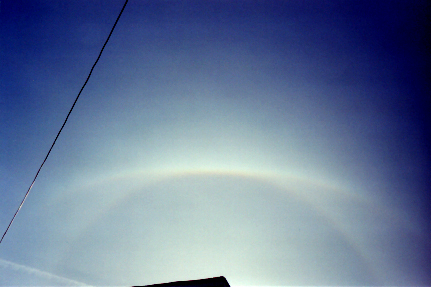 The left side of the halo, with the parhelion and a faint segment of the parhelic circle. 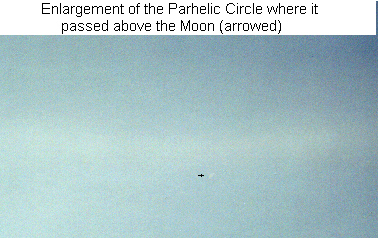 The parhelic circle passed just above the Moon. An earlier event with nice color but without the complexity of the June 3 display.